It has become part of St. Louis folklore over the past several years how well Albert hits the ball on “Buddy Walk” or “Walk in the Park” day, when the stands are filled with people who have Down syndrome. Talking with my friend, Jim Hammond, he mentioned that Albert seems to have amazing days anytime he is around the kids with Down syndrome. That got us to thinking: What if Albert really does play better when inspired by these kids and young adults? Let’s take just one of the Pujols Family Foundation’s programs as an example: Over the past five years Albert has attended seven Father/Son and Mother/Daughter bowling events. During each of these events he is greeted by hundreds of children with Down syndrome and spends hours taking photos, hugging, talking and laughing with the kids and parents. So, did that time with these amazing kids change his luck at the plate? On the day after these seven bowling events, Albert is a combined 18-for-31 with an eye-popping .580 batting average! OK, that’s just one event. How about another? Let’s look at “Albert’s All Star Game”. For the past three years the PFF hosts an annual baseball game featuring kids with Down syndrome as Albert’s All-Stars. The entire Down syndrome community turns out for this event as they watch Albert’s All-Stars (and their player/coach Albert Pujols) defend their undefeated streak. 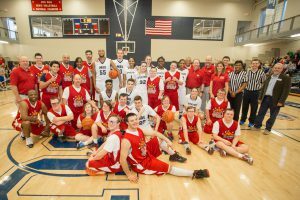 This event is a fan-favorite and allows Albert quality time with the Down syndrome community. 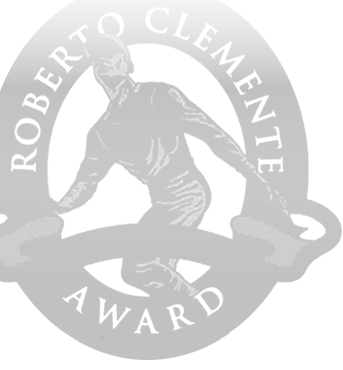 Albert’s batting average over the past three years on the day after this event: .500. How about the Buses for Baseball event? 4-for-9, .444 average, 2HRs with 5 RBIs. There are a lot of kids at his annual golf tournament. Does that interaction count too? Over the past six years Albert has combined for a 10 of 23, .434 average, 4 HRs and 7 RBIs in major league play the day after the tournament. How about those legendary ‘Buddy Walk” stats? 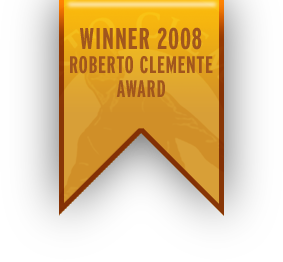 Legendary indeed: Over the past three years Albert went 5 for 7 with an unbelievable .714 average, with a HR in each game combining for 5 RBIs. Just in case you’re keeping score, since the PFF started in 2005, totaling every event where Albert has had access to people with Down syndrome, in the very next game (totaling 22 games) he has gone 39 for 74. That is a .527 batting average! All the while slamming 12 HRs, 25 RBIs and 23 runs scored. I know Albert has competent coaches and advisors helping him with his swing. I also know the countless hours he spends in the batting cage and watching film. As important as those things are to his daily preparation for the game, I think it is very interesting that something as simple as being around those you love can inspire someone like Albert to even greater heights. 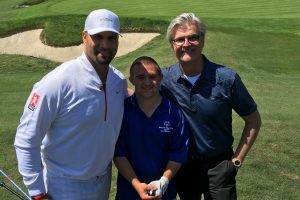 So, the next time Albert Pujols hits a Home Run after one of our events and a person with Down syndrome says, “He hit that for me!” Well, as a matter of fact, he did.